Chrome lignosulfonate is a thinner for drilling mud and fluid loss control agent. With obvious capability of anti-high temperature,anti-electrolytes,is naturally non posinionous complately compatible with other admixture agent etc. Specially used for complicated terran deep well drilling. 1. Anti- high temperature. It can anti the high temperature between 150℃ to 160℃, the property of the mud can stay the same during the 16 hours. 2. Anti- salt. It can anti the salt of 2%. 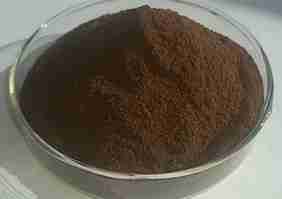 The mud property of salt water is better than FCLS (Ferrochrome Lignosulfonate). 3. Dilution. The dilution is better than FCLS in the same mud. 4. It is suitable to all kinds of mud due to the excellent thinning property, filtration control capacity and powerful anti-electrolytes. Chrome Lignosulfonate can be added into drilling fluids in the form of aqueous solution or powder. When you change PH index into 10.0~10.5, the quantity of thinner was 0.5~1.0 % (W/V).